Progressia Education is an advisory and investment firm based in Paris, specialising in the K12 and higher education markets in Europe, North and South America, Africa and the Middle East. Since 2008, he has advised financial and strategic investors in acquisitions, deal origination, commercial due diligence, joint ventures, and new campus openings, in more than 20 countries. Prior to Progressia, from 2000 to 2007, Joseph was executive director and one of the founding team members in Europe and South America of Laureate Education, the largest international network of private universities, with over $4 billion of revenue. 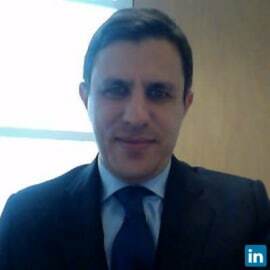 He has completed 20 transactions in the higher education sector in France, Italy, the UK, Spain, Switzerland, Germany, Turkey, Cyprus, Brazil, Chile and Mexico, and five transactions in the K12 sector in France and Italy, with a total transaction value of more than $400 million. Joseph began his career as an auditor and corporate finance advisor at Arthur Andersen and Ernst & Young in Boston and New York.